Brian Gibb was born and educated in Scotland. After graduating with an M.A. in Politics and Philosophy, he worked for several years in the British Diplomatic Service in London and Brussels. He lived for 7 years in a spiritual community in India and the United States. Subsequently, he worked for 28 years as a highly successful Certified Financial Planner in Santa Fe, NM and in California. He now lives in the foothills of the Sierra Nevada mountains in Northern California. Streaming on Netpix, the show’s last hurrah begins tonight. A quick recap of where we left off last season. Donny, playing the President, finds himself increasingly isolated. Flynn, his first National Security Adviser, is in prison, along with Cohen, his shyster lawyer, and Manafort, his tax-dodging campaign manager. Tillerson and Nikki Haley have abandoned the ship of State. Cohn, his Treasury Secretary, has rejoined the Democrats while Munchkin, his successor, is blundering badly. Scott Pruitt and Ryan Zinke, his wrecking crew for the environment, have been revealed as lining their own pockets with secret paybacks from Big Oil and have fled their posts. His many-starred generals, John Kelly and H. R. Mcmaster, discovering too late that commanding armies is easier than serving a man-child, now brood in angry silence. One-time Press Secretary, Sean Spicer, finds himself drawing unemployment benefits after his short role as Pinocchio while Sarah Sanders, Donny’s new mouthpiece, withers slowly each day, bled dry by a thousand lies. Mick Mulvaney, Trump’s Swiss Army knife, ascends to chief of staff, suddenly positioning himself as successor-in-waiting if Trump stumbles – much to the dismay of Mike Pence, the fawning erstwhile Crown Prince and ambassador to the Bible Belt. KellyAnne Conway defects to CNN to save her marriage. In the East Wing, Melania Trump reads Stormy Daniel’s book about her torrid one-night stand with Donny, and vows revenge. Will she be seduced by Michael Bloomberg’s much bigger, uh, checkbook? In Beijing, First Daughter Ivanka Trump plots with Xi Jinping to secure more trademarks and covert deals in China. Her husband, Jared, caught ripping off his many tenants in New Jersey apartments and exposed for dallying with too many Russians, is considering fleeing to Israel, where his lover, Bibi Netanyahu, awaits. Meanwhile, in distant Moscow, Vladimir Putin holds dinner parties and regales his guests with the video of Donny cavorting with prostitutes in a Moscow hotel, and peeing on a bed that the Obamas once slept in. Can Donny save himself from prosecution? Will Robert Mueller unearth the Putin connection? Will Melania find out the full truth about Hope Hicks? Are sons Donny Jr. and Eric next to betray Dad to save their own skins? Will Ben Carson awake from his persistent vegetative state? Has any one of these people ever paid a penny in taxes? Is there anyone among the families and friends of the 59 people murdered and the 520 people wounded in Las Vegas who would not gladly have traded the constitutionally protected right of their killer to buy an unlimited amount of firearms and ammunition for the lives and safety of their loved ones? In the American political system it seems that it is always more important to protect the right of virtually anyone to buy and carry arms than to protect the lives of the many thousands of citizens (13,286 in 2015) who are killed each year by these same arms. 10,000 children are killed or wounded by guns each year in this country. The Supreme Court has ruled that the Second Amendment to the Constitution gives us the individual right to own guns for self defense. So, until the Court’s composition changes, it is unlikely that the tide of gun violence will diminish. The Republican Party has also been vociferous in opposing fairly sensible restrictions on the types of guns sold – such as outlawing the sale of military style assault rifles –and in promoting laws that allow people to carry guns openly in public, even in schools. The President and Congress seem only able to offer us their thoughts and prayers each time there is yet another episode of mass murder, and they write each such event off as being an “act of pure evil” or the product of a disturbed mind. Is there anything we can do as citizens when the courts, the Presidency and Congress refuse to change the status quo? I think there is. First, as an individual, do not own or buy guns. If you have one, destroy it. Do not sell or give it away. Take it out of circulation. We lead by our personal example. Second, do not visit, or allow your children to visit, homes where there are firearms – even if they are in gun safes. It may be awkward at first to ask if guns are present in someone’s house but it is no different than asking if there are peanuts when one of your kids is deathly allergic to them or turning down the offer of a car ride when you know the driver has been drinking. By showing disapproval of owning guns in this small way, we each begin to take a moral stand, just as we do when we tell guests that we do not allow smoking in our homes or when a vegetarian politely declines to eat meat. Third, have conversations with your friends who have guns. Most gun owners say they buy guns for self defense and, of course, would never use them to harm others or themselves. Yet, when we allow everyone to buy guns, we end up with millions of them in the hands of people who will one day kill or hurt others or themselves. Why should your freedom to defend yourself be limited because of the actions of these disturbed or irresponsible others? Well, for a start, you may be one of the people who become their victims, like hundreds of people did in Las Vegas this week. Stephen Paddock, the shooter, was one day just a middle class accountant taking advantage of his right to buy 42 weapons and thousands of rounds of ammunition. On another day he killed 59 people who were listening to country music. But more importantly, in a well ordered society we all often give up individual freedoms in order to secure a greater community benefit. In many cities we can’t burn coal or wood fires in order to preserve clean air for everyone. We pay to have our trash hauled away to keep our streets clean and healthy. We comply with building codes to maintain a city’s beauty or to ensure safe building standards. We wear seat belts to save lives, our own and others’. And, in most countries, we limit the possession of guns to keep them out of the hands of criminals and to protect everyone from intended or unintended violence. There is a moral choice here. When everyone exercises their legal right to buy guns, we end up with the situation we now have in the United States with thousands of deaths every year. When we have laws such as those in Australia or the United Kingdom that restrict the possession of guns, and when everyone sees that their personal safety is ensured by such laws, we create a more lawful and a less violent society. The moral choice is: Am I willing to give up a personal, legal freedom now in order to bring about a change in the society in which I live? If I do not commit to living without a gun, who else will? If we wait for our leaders to change the laws, we might wait forever. But we can start changing our individual behavior and choices today. Sometimes our leaders have to be led. American troops have been fighting a war in Afghanistan since 2001. We have spent nearly a trillion dollars there; and 2,344 U.S. service members have died and nearly 20,000 have been wounded. There is no end in sight and no defined goal for military action. President Trump has just agreed to increase troop levels, yet again. Much of the country is once more under the control of the Taliban, as it was in 2001. The government of Afghanistan exists only because of American funding, American protection and American arms. Corruption is widespread. The country is still the world’s largest producer of opium. The United States is also paying through the nose hundreds of millions of dollars to the Pakistani government for the right to transit supplies into landlocked Afghanistan – even though the Pakistanis are covertly supporting the Taliban and other Islamist groups and providing shelter to their leaders. Our deluded President thinks that if only we can kill enough terrorists, he can proclaim victory and leave. The Soviet Union, the British and several other occupying forces over the centuries had this same belief. It never worked out that way for any of them. All were defeated by the indigenous tribes and left with their tails between their legs. I have been watching Ken Burn’s epic and brilliant documentary, The Vietnam War, now streaming on PBS. Two things stand out from the fog of that war for me. First, the generals in the Pentagon and in the field went on arguing that if only they had more men, more equipment, more weapons and more latitude to expand operations, they would defeat North Vietnam and the Vietcong – right up until the day the U. S. Embassy in Saigon was being evacuated by helicopter. Second, there was a mass movement of millions of people in the United States protesting against the war and those protests inspired politicians such as Senators Gene McCarthy and Robert Kennedy speaking out against the war and demanding its end. What will it take for our current generals and Pentagon brass to admit that the Afghan war is unwinnable? For years we have been told of victories and the control we now have over this or that province, only to hear a few weeks later that insurgents now have re-taken these places. The fact that the President is now surrounded by three generals – Kelly, Mattis and McMaster – seems to make it very unlikely that he will hear advice about withdrawing. 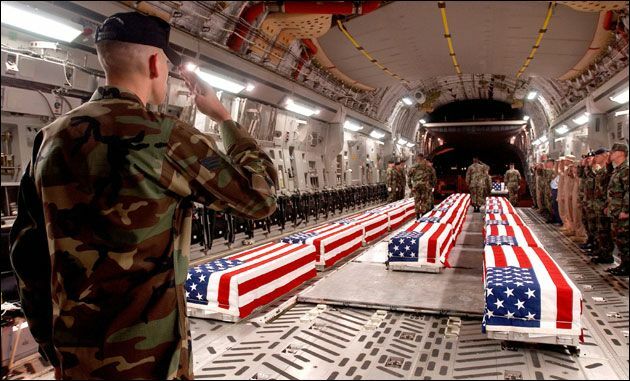 And what will it take for all of us, the public, to stand up, as we did in the Vietnam war, and demand an end to the needless sacrifice of our troops and the mass killings of Afghan civilians? Perhaps because our armed forces are now volunteers and not young men and women being drafted against their will we can turn our heads and look the other way. But this endless war is being fought in our name. Our Veterans Hospitals are being filled with the wounded. Those hundreds of millions of dollars we spend each year for nothing could be used for our own health care systems or to rebuild our national infrastructure. Afghanistan has to work out its own destiny. It has borders with Iran, Pakistan, China and three former Soviet republics. Each of these states has a vested interest in not allowing the United States to control their neighboring country. Afghanistan is a failed state. Our mission has also failed. It is time to pull the plug and withdraw. 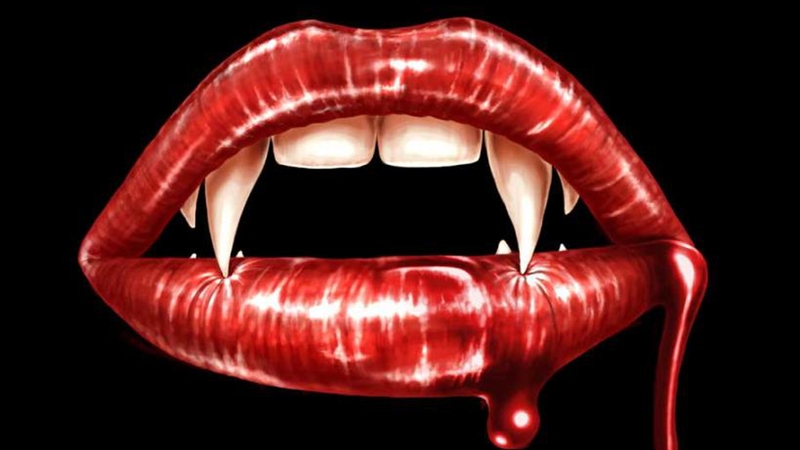 Vampires have a rhythm in their behavior. They come out by night to feed on the blood of humans, and return to their lair before the sun rises. Essentially, vampires are parasites, living off the life force of another species, strengthening themselves by weakening others. Blood-drinking vampires are fictitious, of course. But there is a real type of human vampire: the energy vampire. Energy vampires are people who feed on other people’s energy by monopolizing conversations, hogging the limelight, creating disturbances to draw attention to themselves, forever exhibiting an insatiable need for attention, praise or approval. Nearly all energy vampires had emotionally deprived childhoods and nearly all suffer from some type of malignant narcissism syndrome. In extreme cases, the world and all the people in it are seen by these energy vampires as simply props to satisfy their own compulsive drive for attention: the ultimate energy drink. We have such an energy vampire in the White House, and he is one of the extreme cases. His whole life has been spent in the pursuit of fame, admiration and respect as the greatest or biggest or wealthiest or sexiest or most powerful or most feared in any field he enters. In this quest he has lied, exaggerated, deceived, misled, concealed and cheated people he has worked with, romantic partners and wives, students of Trump University, small business owners, and most recently the electorate of the United States. The Washington Post website now lists over 1000 lies he has told – just since taking office in January 2017. For the last 2 years he has sucked up all the oxygen in the political world. Every television channel and national newspaper have given him more time and space than any other individual or event on the planet. And, still, for him it is never enough. His relentless and provocative tweets, his blatant falsehoods, his aggressive attacks on one minority or individual after another – all this is driven by his craving to be the focus of attention. He has learned that to be outrageous is the shortcut to receive attention: his sugar rush. Unfortunately for him more and more of the attention coming his way has been criticism, not praise or approval. Just in the last two weeks, he has been criticized by the Boy Scouts of America, abandoned by the powerful corporate CEO’s he had appointed to advisory councils, upbraided by Republican Senators and House members for supporting Nazi and white supremacist demonstrators, forbidden by Congress to undermine sanctions on Russia and mocked by many for his poor understanding of the very policies he has been trying to promote, whether it is health care, tax reform or Afghanistan. So, even though he is getting plenty of attention, it has had a bitter taste. And this has been frustrating because the energy vampire also needs approval and respect. He tries so hard. He gives conventional speeches, sticking to the teleprompter, to please his staff and cabinet. But these stiffly read speeches do not yield him the applause he wants. The more frustrated he becomes, the more he flails around to get what he lusts after. What he has learned is how to get his needs met. It is quite simple really. He arranges to give a political rally for Republicans in some city where he won in the 2016 election. He ditches the teleprompter and reverts to the uncensored man he was in the primary elections, unconstrained by the need to seem Presidential. He revs up the crowd with all the old tropes: Build that wall and make Mexico pay, Crooked Hillary, crimes committed by immigrants, the biased and lying Press, his great electoral victory, the incompetence of fellow Republicans and whatever other subject seems to be the hot buttons for his audience. He stirs up anger and resentment. In exchange he gets a blast of approval and admiration. Real food at last, and he is content. For now…. It does not seem to matter to him that what he does or says may be self-defeating in the long run. That sea of shining, smiling, admiring faces is all that counts right now. The vampire licks his lips. And flies back to his golf course.